If you’ve never had a driver’s license, then you can be charged with “no valid driver’s license.” Under Florida Statute Section 322.03(1), the crime of “no valid driver’s license” prohibits operating a motor vehicle on a public highway without being licensed by an appropriate governmental authority. The crime of driving with “No Valid Driver’s License” is a second-degree misdemeanor punishable by up to 60 days in jail and a $500 fine. On of the most commonly issued criminal citations for a traffic offense issued in Leon County, FL, is for not having a valid driver’s license under Florida Statute Section 322.03(1). This criminal charge comes with criminal penalties. Parents should keep in mind that if a juvenile is cited for driving without a valid license, then the case will be prosecuted a misdemeanor in county court instead of as a delinquent act in juvenile court. State v. Jones, 899 So. 2d 1280 (Fla. Dist. Ct. App. 4th Dist. 2005). 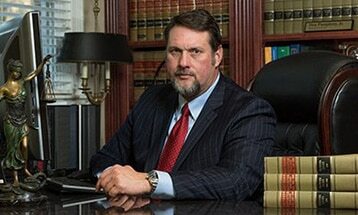 Call us to discuss your case at (850) 681-7777. We can help clients resolve any problems with their driving record so that they can obtain a Florida driver’s license. The term “driver’s license” is defined under Section 322.01(17) to mean a certificate that, subject to all other requirements of law, authorizes a person to drive a motor vehicle and denotes an operator’s license as defined in 49 U.S.C. 30301. The term “operator’s license” is defined in 49 U.S.C. 30301 to mean a license issued by a State authorizing an individual to operate a motor vehicle on public streets, roads, or highways. Unless otherwise authorized by law, Florida Statute .§ 322.03(1), prohibits a person from driving any motor vehicle upon a highway in Florida without a valid driver’s license. Under Florida Statute Section § 322.03(4), when operating a motorcycle, the driver must hold a driver’s license that authorizes such operation. Other related criminal traffic offenses including operating a motor vehicle on the Florida highways whose driver’s license has been expired for more than four months. § 322.03(5), Fla. Stat. If you are caught driving while your driver’s license has been expired for four months or less, then the officer can issue a civil infraction which is subject to a civil penalty. See § 322.065 and § 318.18. After being charged with “no valid driver’s license,” a second offense can be charged as “driving while license suspended.” If you enter a plea of guilty or no contest to three charges for driving while license suspended (either with or without knowledge) within five years, then your driver’s license can be revoked for five years as a habitual traffic offender. In some cases, your attorney will fight to get a charge of “driving while license suspended” amended to “no valid driver’s license” so that the person can avoid a habitual traffic offender revocation. Although a conviction for “no valid” will not lead to a Florida habitual traffic offender revocation, it is still a criminal offense that comes with criminal consequences. The offense of operating a motor vehicle without a valid driver’s license is not a lesser offense included within the offense of operating a vehicle while the driver’s license is under suspension. Lanier v. State, 226 So. 2d 37 (Fla. Dist. Ct. App. 1st Dist. 1969). a non-Florida resident had a valid driver’s license from a foreign country. If you were charged with “No Valid Driver’s License” then contact an experienced criminal defense attorney at Pumphrey Law. We can begin your defense today. Our attorneys are experienced in fighting criminal traffic offenses including no valid driver’s license, driving while license revoked or suspended, and driving while a habitual traffic offender. If you are pulled over by a law enforcement officer who discovers that you do not have a valid license, the officer has the discretion to either arrest you or to issue you a notice to appear in court on the criminal charges. After a charge for “No Valid Driver’s License” in Tallahassee or Leon County, FL, call a criminal defense attorney at Pumphrey Law. Let us put our experience to work for you. Schedule a free consultation today! This article was last updated on Friday, August 13, 2016.